Forming a Relationship with Your Gestational Surrogate - Kinsey Law Group, P.C. 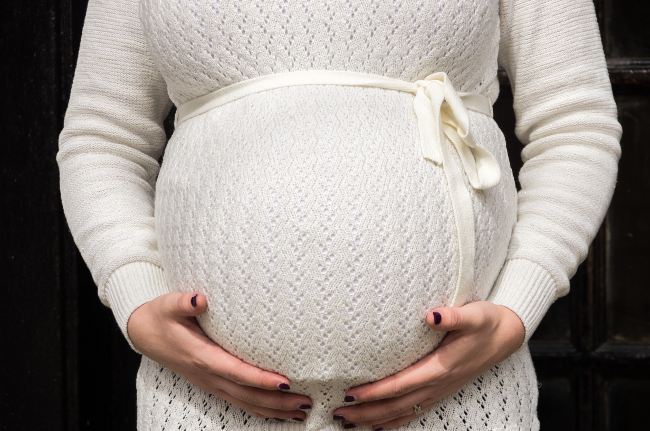 You may be a little nervous about getting too close to your gestational surrogate. Maybe you’re concerned about disagreements and conflicts, or maybe you’re worried about what to do if troublesome issues arise. However, if you build a good relationship with your surrogate, the entire process will be much more pleasant. When you’re figuring out the relationship between you and your gestational surrogate, try looking at the situation from the surrogate’s point of view. Many surrogates have chosen this path not because of the money, but because they sincerely want to help other couples experience the joys of parenthood. Your gestational surrogate has her own children. She has been through psychological evaluations, she has emotional support, and she has signed the surrogacy agreement which you drafted with the help of your surrogacy lawyer in Maryland. Your surrogate isn’t interested in taking your baby from you; so you don’t have to be afraid of getting closer to her. When you’re selecting your surrogate, make sure that you take time to have some long conversations before you make a final decision. She may not agree with you on every subject, but it helps if both you and the surrogate have the same mindset about pregnancy and childbirth, including nutrition, fitness, and medical care. Clear, open communication is vital to any relationship, so the more you can talk together, the better. As you chat with potential surrogates, you should start getting a sense of whether or not she is the one that should carry your baby. Once you choose a surrogate, try to maintain the relationship throughout the pregnancy. Your surrogate is going through the pregnancy for you, which means that she has to deal with both the good and the bad aspects of pregnancy. Think about how you would like to be treated in this situation. You are already paying her expenses, but perhaps an encouraging email, a card, a lunch, or a bouquet of flowers might be appropriate, to let her know that you are thinking about her and that you appreciate her. Each surrogate is different, so find out how comfortable she is with those gestures. If you’re not sure what annoys her and what makes her happy, just ask— and then respect her wishes. Be careful about offering advice, especially if you have not been through pregnancy yourself. As long as your surrogate is following the requirements outlined in your agreement, just relax and let her move through the pregnancy in her own way. She has been pregnant before, and she knows her body better than you do. Micromanaging her, offering unsolicited advice, or asking uncomfortable questions can do harm to the relationship. If you feel that the relationship is becoming strained, visit a therapist whose specialty is fertility and find out how you can mend the situation before it becomes worse. It’s wonderful when you and your surrogate can become good friends. At the same time, don’t feel guilty if you don’t bond closely with your surrogate. Your personalities may be quite different in some ways, and that’s all right. You can keep it friendly and be supportive without becoming BFFs. With trust, open communication, and professional guidance, you should be able to build a strong relationship that will leave both you and your surrogate better for having known each other. As a mother by gestational surrogacy and as a surrogacy lawyer, my goal is to help you experience the joy and fulfillment of starting or growing a family of your own through third party reproduction. Because I am a mother by gestational surrogacy, I know firsthand what you will need – answers to your questions, support and guidance – and, I know what you will go through when starting your family. My experience as a surrogacy lawyer helps me guide you through the financial, emotional and legal aspects of surrogacy and third party reproduction. I can say with confidence that few (if any) attorneys deliver the unique insight I can bring to your surrogacy journey.